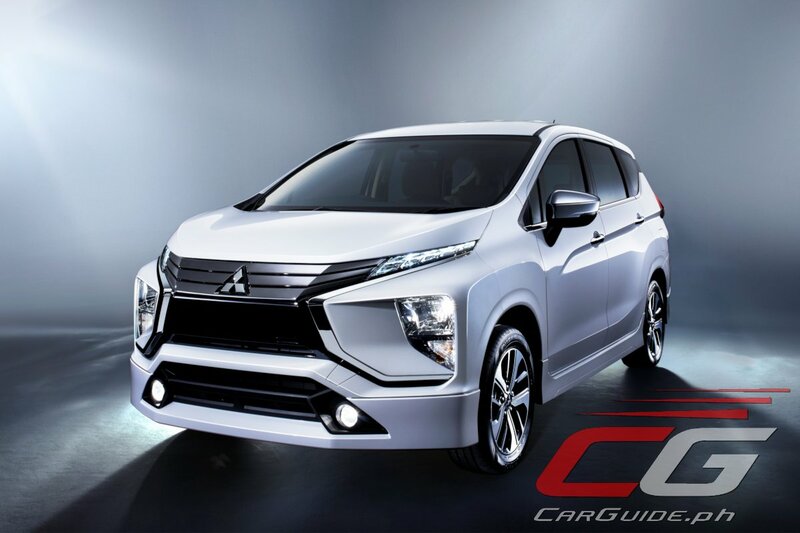 Mitsubishi Motors Philippines Corporation (MMPC) has revealed the prices of its upcoming 7-seater MPV, the Xpander while also opening the order books from today until April 30, 2018 (the launch will likely be sometime in May 2018). After taking the Indonesian market by storm, MMPC hopes to replicate that success locally. The Xpander features distinctive styling and features that combine functionality and an adventurous character. The 2018 Xpander is powered by a 1.5-liter DOHC 16-valve gasoline engine featuring MIVEC technology. This is mated to either a 5-speed manual or 4-speed automatic. With 105 horsepower and 141 Nm of torque, Mitsubishi promises punchy and dependable performance. It also boasts of the best-in-class interior dimensions equating to a spacious cabin for 7 adults. The Xpander will also come with safety features such as Hill Start Assist (HSA), Reinforced Impact Safety Evolution (RISE) Body, Active Stability Control (ASC), Emergency Stop Signal (ESS), and Anti-Locking Braking System (ABS) with Electronic Brake Distribution (EBD). Produced at Mitsubishi Motors Corp.’s (MMC) new factory in Indonesia, the all-new Xpander will come in 4 variants: GLX MT, GLX Plus AT, GLS AT, and top-of-the-line GLS Sport AT. The all-new Xpander will be offered in five colors for the GLS Sport and GLS variants: Red Metallic, Titanium Gray Metallic, Sterling Silver Metallic, Quartz White Pearl, and Diamond Black Mica while the GLX Plus will be available in Titanium Gray Metallic, Sterling Silver Metallic, Quartz White Pearl, and Diamond Black Mica and the GLX MT will be available in Titanium Gray Metallic, Sterling Silver Metallic, and Diamond Black Mica . The 2018 Xpander will come with the following indicative pricing: P 900,000 for the GLX MT; P 990,000 for the GLX Plus AT; P 1,050,000 for the GLS AT; and P 1,100,000 for the GLS Sport AT. Skip the waiting line by visiting the all-new Xpander webpage. Register to access the page and fill-out the pre-order form. A reservation fee of only P 10,000 must be paid at your preferred Mitsubishi Motors dealership to complete the pre-order. Why charge for reservation? This model will probably be around till this years new born babies finish collage in 2039. I remember when mitsu adventure was released in 1997, same year with my first born whose due to graduate this year... and yes mitsubishi is still selling em. Terrible pricing. It's noticeably more expensive than both the Mobilio and Ertiga. Also, a 4 speed automatic for P1M? Ridiculous. I don't know how Mitsubishi can go from releasing something as nice and well priced as the Montero Sport, to this overpriced, 3rd world spec'ed MPV. I agree, medyo mahal nga tong pricing. I would opt for a brv honda or mobilio. this is way better than the mobilio or BR-V, those cars are simply elongated Brio on roids. Honda just did a good job covering it. Its competitors are Honda BR-V and Toyota Rush, although Xpander is categorized as MPV that's why it is priced like that. If the poverty pack will have a full suite of safety features the same as the range topper, then the price isn't so bad I guess. Think how much cheaper it could have been prior to the TRAIN. Likely no. The GLX may have dual airbags and probably ABS. Expect the ATs to get most of the features. 2018 is the "Battle of the New Crossovers": Mitsubishi Xpander, Toyota Rush, and the new Suzuki Vitara GLX. If this 1.5L is a diesel and same price range even if a bit more, it would make a killing. It would definitely topple the Innova. My great grandfather was still alive when 4 speed automatics were good. Why the hell are people complaining about the price? When Isuzu sells its ancient crosswind for 1.3M, no one bats an eye. Its probably the same transmission that killed mitsubishi fuzion. That was matted with a 2.4 liter gas. The gear ratio was tall, when you hit about 70-80 km/hr it starts to accelerate in crawl and fuel milage drops significantly. ipapasok ba ng toyota yung rush? o avanza na lang pantatapat nila dito? 4 speed automatic in 2018? WTF!!! Oo nga e. Diba CVT ang Mitsu? where to get xpander model 2018 glx mt color titanium grey mettalic if approved from the bank?